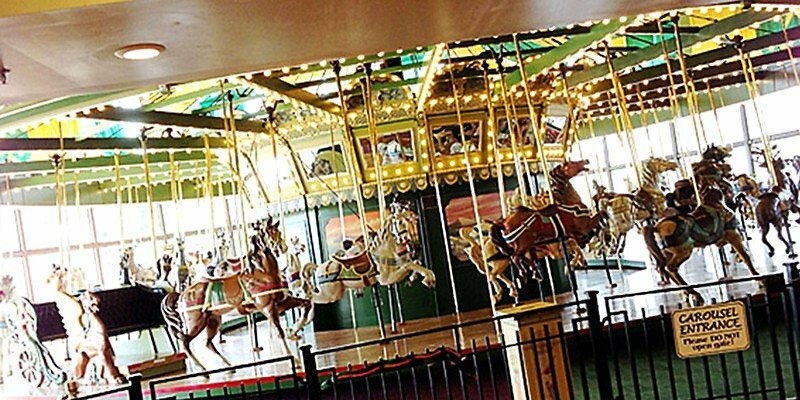 The St. Louis Carousel is home to an original carousel created by the Dentzel Company of Philadelphia in the 1920’s. The Carousel was installed in 1929 at the Forest Park Highlands. When the Highlands burned to the ground in 1963, the carousel was the only thing left standing. Howard C. Ohlendorf purchased the carousel to prevent it from being dismantled and donated it to St. Louis County Parks in 1965. The department operated it during the summer months at Sylvan Springs Park until 1980. The St. Louis County Historic Buildings Commission and Faust Cultural Heritage Foundation raised enough money to restore the carousel to its original beauty and installed it in a climate controlled building in Faust Park in 1987.